It is really boring to wait on your device for over 2 hours in order for it to get fully charged. It is not your device fault, but rather the charger. Chargers are made to deliver some amount of power to your device but most chargers are not able to supply such power because of too much resistance in the wire, and when this happens the charger will not convey the amount of power it supposes to deliver causing slowing charging. 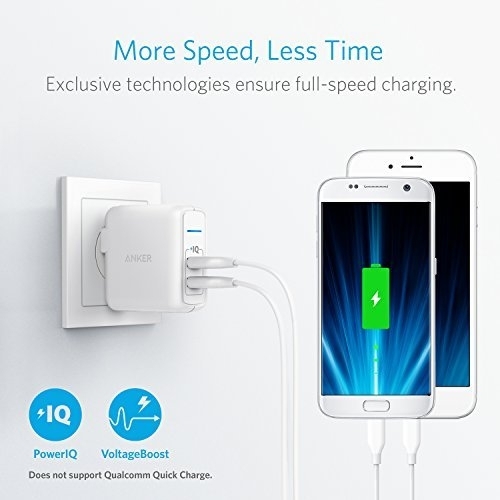 This problem has been solved by a company called Anker. 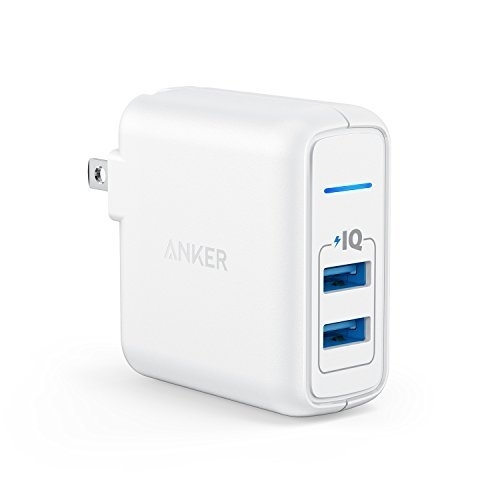 Anker has manufactured a Dual Port USB Charger with 24W, VoltageBoost and PowerIQ Technology. 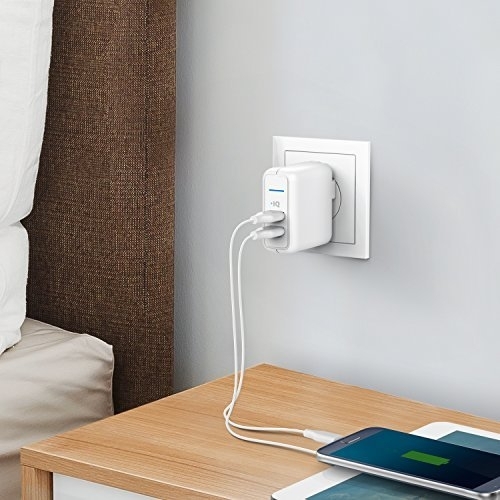 This means that charger has a high-speed charging regardless of the device and consistent power supply without power fluctuation or short-circuit. 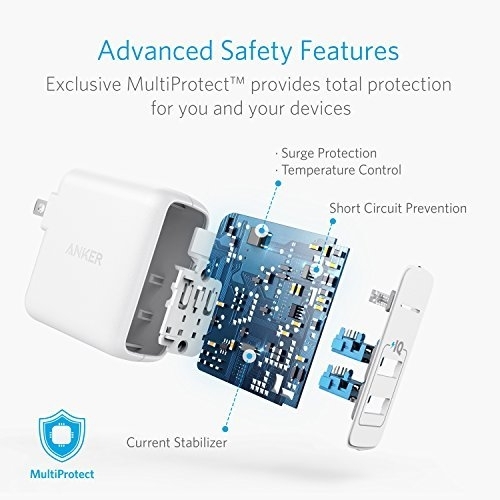 It also has inbuilt surge protection. 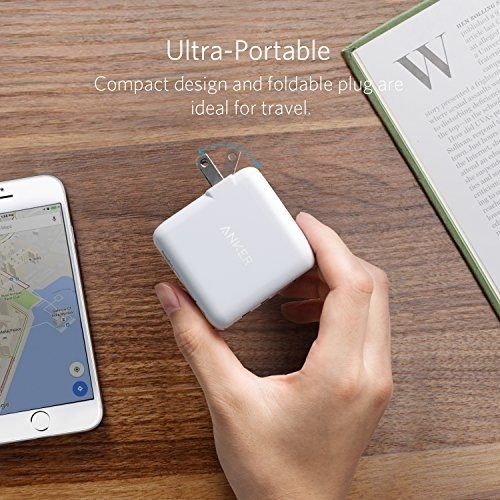 The Charger is very small, and it is easy to travel with. The charger is made in such a way that it is compatible will all international voltage. The plug of the charger was made to be foldable which makes it easy to travel with. 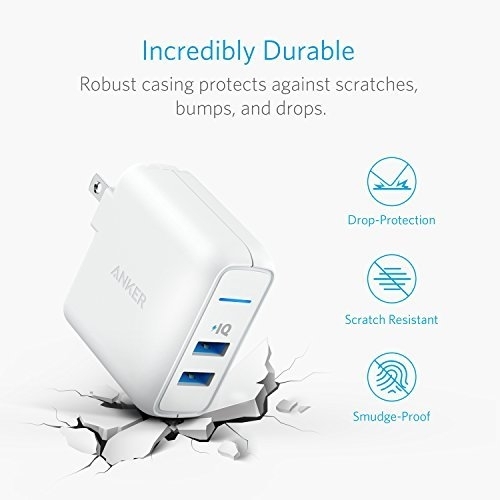 The Anker Elite Dual Port charger was made with Robust, anti-smudge casing and premium components which protect it against scratches, scrapes, bumps, and drops.The Charger has at least 10 safety features built in it which works together to give you ultimate protection for your devices. One thing that makes the charger unique is the PowerIQ. The PowerIQ detects your device’s specific charging requirements while VoltageBoost increases output to compensate for cable resistance. 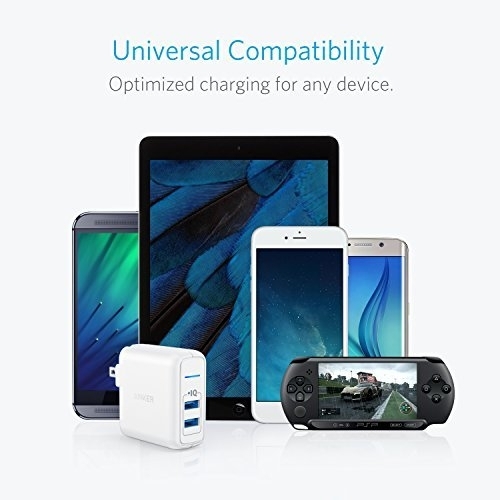 * This charger is very affordable as compared to others. Our optimized series of chargers. 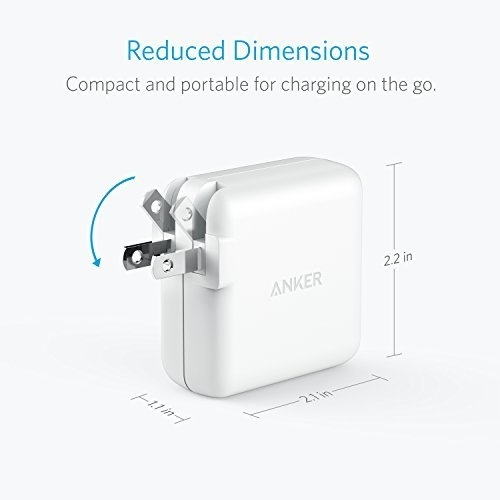 Built super-compact and jam-packed with Anker’s advanced technology to provide full-speed charging to virtually any device.